Pls share information on the passing away of lesser know cinema personalities. Really unfortunate. Talent like Na. Muthukumar with potential to have had a lot more years contributing to TFI to pass away so early. I feel sorry for his wife and children. Liver damage can be caused by excessive consumption of alcohol. I hope that was not what that caused his death.. So much of talent. Feeling very sad. Jayalalitha established a carrier in Indian Films as an actress and is honored with several awards presented by various film organisations, including Russian Film Festival, for her acting excellence. She made her acting debut in 1961 (as a child artist), a direct English language film 'Epistle' which was released only during 1966. She set to reprise the roles of a child in two regional languages, Hindi and Kanada, before debuting as the lead actress in Chinnada Gombe (1964), a Kanada film. The following year, she appeared opposite to A. Nageswara Rao in her Telugu debut Manushulu Mamathalu (1965). 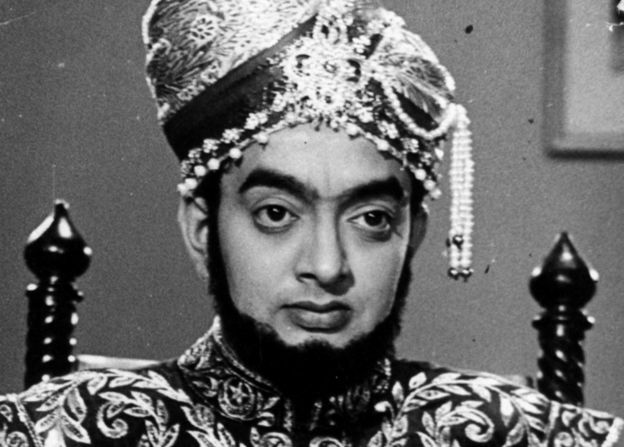 Sridhar's Vennira Aadai (1965) brought Jayalalitha on screen before the Tamil audience. Since then, Jayalalitha actively perused her film carrier for the next fifteen years as a lead actress in various films, made by several directors across many languages (notably Tamil and Telugu), opposite to many leading heroes - few notable names are MGR (Ayirathil Oruvan - 1965), NTR (Gandikota Rahasyam - 1969), Sivaji (Motor Sundaram Pillai - 1966) and Jayashankar (Yaar Nee - 1966). Ayirathil Oruvan (1965), Kanni Thai (1965), Muharassi (1966), Chandrodhayam (1966), Arasa Kattalai (1967), Thaikku Thalaimagan (1967), Kavalkaran (1967), Pudhiya Bhoomi (1968), Ther Thiruvizha (1968), Kannan En Kadhalan (1968), Rahasya Police 115 (1968), Kadhal Vaganam (1968), Kudiyiruntha Koyil (1968), Oli Vilakku (1968), Kanavan (1968), Nam Naadu (1969), Mattukkara Velan (1969), Adimai Penn (1969), Engal Thangam (1970), Thedi Vanda Mappillai (1970), En Annan (1970), Kumari Kottam (1971), Neerum Neruppum (1971), Oru Thai Makkal (1971), Raman Thediya Seethai (1972), Annamitta Kai (1972), Pattikatu Ponnaiah (1973). Motor Sundarampillai (1966), Kandan Karunai (1967), Enga Oor Raja (1968), Galatta Kalyanam (1968), Dheiva Magan (1969), Gurudhatchanai (1969), Enga Mama (1970), Engirundho Vandhal (1970), Padhukappu (1970), Saveley Samali (1971), Sumathi En Sundari (1971), Needhi (1972), Raja (1972), Dharmam Engey (1972), Anbai Thedi (1974), Thai (1974), Pattum Barathamum (1975), Chitra Pournami (1976). Apart from general roles as a heroine in mainstream films (from epic to comedy), Jayalalitha participates in fantasy tales such as Kandan Karunai (1967), playing the role of a mythological character Valli. Unnai Suttrum Ulagam (1977) sees her with Kamal Hassan. Jayalalitha’s last appearance on Tamil screen was in the Nadhiyai Thedi Vandha Kadal (1977) and her last film as lead actress is Nayakudu Vinayakudu, the 1980 Telugu film. Actress Jayalalitha will be among the few rare actress in Indian Film Industry who have done several challenging roles in woman centric films. She has featured in films which has titles associated with her character, making her role quite prominent in the proceedings inside the filmwork. Jayalalitha has easily walked through different genres in motion pictures, another rare feature for any Indian Actress. A carrier spanning for about twenty years as an actress, Jayalalitha has appeared in more than 135 films across five different Indian languages. What I like about this fabulous actress Jayalalitha is her facial features, especially her apple cheeks, the pair of bright eyes between sweeping eyelashes and here ever smiling thick lips. She possesses a charm over the audience and I like her when she reacts to serious situations in the films, notably when she exposes her anger. I have also noted that she has appeared in numerous different hairdos, all of which suits her perfectly, and is quite elegantly dressed with fashionable accessories dazzling over her. Her sense of carrying herself inside the frame is professional and she holds the deadly look of cuteness sparkling within intelligence - I always admire her cheerfulness on screen. She does carry a trade mark walk, a trait completely different from other artists. Last but far from the least, her immense energy that she pushes through the screen - her Epic genre films demands a lot of physical motion and she does them all with ease and grace. The name Jayalalitha-the actress, will ring around as long as cameras keep rolling. Jayalalithaa Jayaraman (24 February 1948 – 5 December 2016) - A Celluloid Skyline. During the campaign in the film Manidhan, Cho says "Put your votes into the Well", as the contesting party's symbol is indeed a well. In the film Puthiya Theerpu, as a continuation to his line on advicing people, Cho says pointing at Janakaraj, "If I say something, this fellow repeats Sommari, Chomari, Cho Mari". Cho Ramaswamy features in my favourite film Adhisiya Piravi, in which the one liners and counters are so spontenous (ofcoarse they have its own share of bitter truth concealed within, concerning the poticial suituation of the said period). It is particularly his character Vichitra Gupta which converts the remake into a stand alone feature, where the adaptation was well done keeping in mind the adressed audience group. During my childhood (and even presently), I read a lot of comics (a huge fan of Indrajal / Raj comics) and then, I never fail to go through Thuglak for its awesome caricatures. I recollect the evening I used to sit with my grandmother and laugh at the cartoons illustrated in the weekly Tamil magazine, eventhough I never minded its political contents. I am not much experienced to talk about Thuglak, but for me, Thuglak will remain one of the best cartoons of real life personages, the magzine's founder/editor Cho Ramaswamy since Pongal 1970. I often used to wonder how Cho gets a particular feauture of a person and exploits them in his cartoon, be it a nose or lips or even ears. It looks funny, at the same time sheds away the seriousness in the sense, while retaining a huge impact. As a artist, Cho delivers his dialogues with firmity and uses the given time aptly on screen. He is a wonder while using Chennai Slang (Madras Bashai) and a kind of Robin Hood on screen to potray the current affairs and talk about the condition of the (political & social) system of the taken period. He boldly adresses them, creating an illusions of truth inside humour. His lampoonery potrayals of any hard news with witticism will always remain unique. He ridicules the concerned to expose truth, and as far as I am aware of, none have taken them dissimilarly but consulted with him seeking for appropriate measures. And he was there for them too with his expertise as a free thinker. And as a writer/reader he is a huge inspiration (for myself). He is a great speaker too, where he induces hillarious lines to introduce to a pathetic problem roaming around. In Valli 1000, he tackles on stage the matters of old age jovially, which I consider as absolute and a major eye opener for any generation, esp., for those who are prepared to listen. Spontaneity, brevity, boldness, presence of mind and inteligence will forever have a synonym called Cho Ramaswamy. Srinivasa Iyer (5 October 1934 – 7 December 2016) - Wits & Wiles. The auteur, who has won multiple National Film awards, was known for his artistic depiction of social reality.